B. Robert's Foods is based in Charlotte, NC and proudly provides delicious chef prepared meals as a Fresh Foods partner with Harris Teeter. They produce more than 70 food products for Harris Teeter every day such as sauces, salads, side dishes and entrees. Food safety, traceability and quality are primary concerns at B. Robert's Foods and Harris Teeter is happy to call them one of our local neighbors! 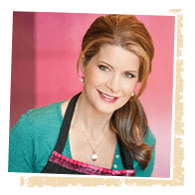 Gigi Butler, founder of Gigi’s Cupcakes, moved to the south to be a country music star. Little did she know, her amazing cupcakes would take her on a path towards stardom. Gigi’s offers award-winning cupcakes, baked fresh daily using only the finest ingredients- the most important ingredient being love. Gigi’s shares love throughout the community, one cupcake at a time, through local owners. With each mouthwatering bite you will feel the love that goes into every gourmet, hand-made treat! Make your day, or someone else’s, a little sweeter with Gigi’s Cupcakes! Gigi's Cupcakes are available in select locations only.